The 2018 OECD Forum with the theme « What brings us together » will be held on May 29th and 30th. 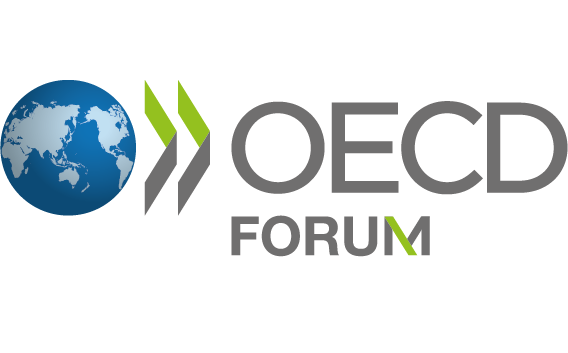 The OECD Forum was created in 2000 to discuss the key economic and social challenges on the international agenda. It takes place over two days during the annual OECD Week.The OECD Forum was created in 2000 to discuss the key economic and social challenges on the international agenda.It is an important part of the annual OECD Week that also features the OECD main Ministerial meeting, and seminars linked to key international fora (G20).This 2-day public engagement event gathers high-level government representatives, CEOs, leaders from civil society and trade unions, as well as prominent members of academia and media.Over the past 15 years, the OECD Forum has grown to become a major international conference that debates the most pressing social and economic challenges confronting society.In 2018 IRG was asked to be a Friend of the 2018 OECD Forum. Friend status allows well-known and committed and civil society organisations to share their ideas and their networks during the event.Friends of the Forum 2018 :AIESEC International, AMCHAM EU, AMCHAM France, Confederation of British Industry, Ecole 42, European Policy Centre, ESSEC Business School, Gaidar Institute for Economic Policy, Institute for Research and Debate on Governance, JUMP, Kiel Institute for the World Economy, LedByHER, Leuven Centre for Global Governance Studies, McGill University, Observer Research Foundation, Professional Women's Network, Syntec Numerique, The 30% Club, TNO, TrustInside, Women Political Leaders Global Forum, Worldwide Universities Network + Australia Africa Universities Network.